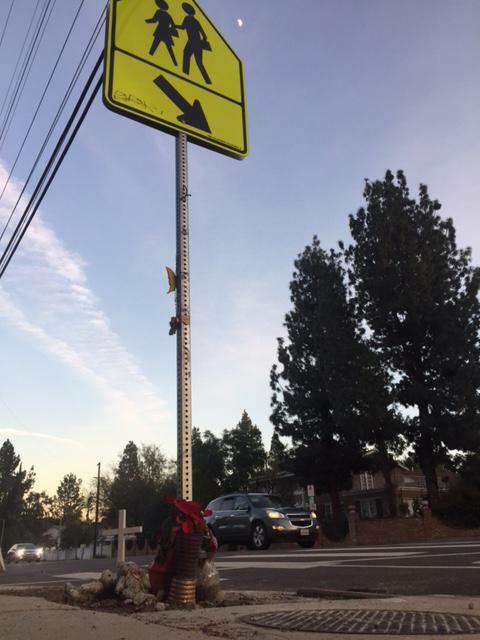 The West Hills Neighborhood Council’s Streets & Transportation Committee has compiled a step-by-step guide on how to submit a request to the city of Los Angeles for placing a crosswalk in West Hills.Please keep in mind that crosswalks sometimes can make a crossing site more hazardous because they imbue pedestrians with a false sense of security that motorists will see them and come to a stop. For this reason, the city has been removing some crosswalks that do not have a traffic signal or some other form of control on traffic. Submit a Los Angeles Department of Transportation (LADOT) Service Request. To submit a service request, visit MyLADOT.lacity.org. You will receive a five-digit request number, which is your key to initiating the process for LADOT to investigate the site for to determine its viability and enable you to track of your request’s status. Send your service request number to Eric Moody at City Councilmember Mitchell Englander’s office ([email protected]) and the Streets & Transportation Committee of the West Hills Neighborhood Council ([email protected] or [email protected]). Please include basic information about the site and state why you would like a crosswalk there. Both agencies will be able to follow up with LADOT traffic engineers and make sure your concerns are heard. Have patience! It will take time — from several months to a year or more — for LADOT to investigate the site and determine the best approach for implementing your request. Throughout this process, stay in touch with LADOT, WHNC and Councilmember Englander’s office to receive updates.